"We teach girls that they can have ambition, but not too much ... to be successful, but not too successful, or they'll threaten men". 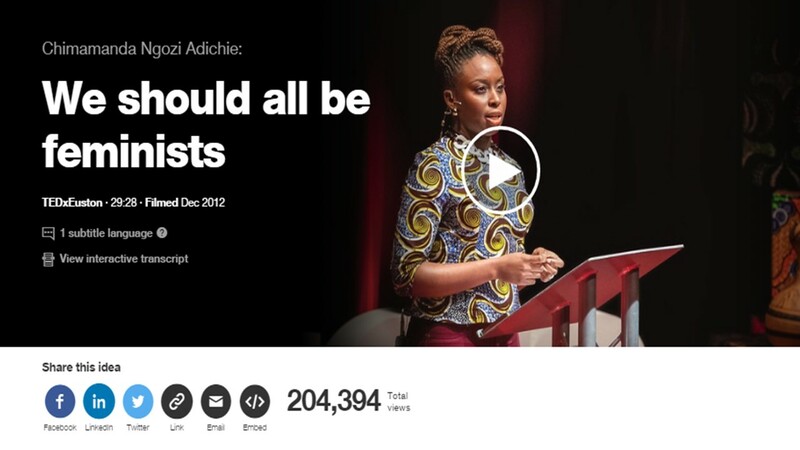 Adichie asks that we begin to dream about and plan for a different, fairer world — of happier men and women who are truer to themselves". To view the full clip, click here. 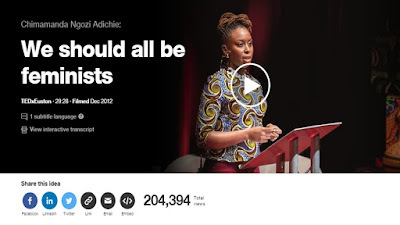 Tags # chimamanda adichie # chimamanda ngozi adichie # feminism # feminist # TED talks. Labels: chimamanda adichie, chimamanda ngozi adichie, feminism, feminist, TED talks.